Lightweight contracts are now live on the Ardor TestNet! But what does this mean for the average Ardor user? There are many articles about Lightweight Contracts but the information is often abstract and hard to understand. Fortunately, a new class on Udemy has been released that makes lightweight contracts easy to understand! The class explains lightweight contracts at the most simple and basic level. In fact, the class is made for people with no coding background! Step-by-step instructions: Every single step of deploying a contract is shown in detail. Anyone can do it! Explanation of tools: Easy-to-understand tutorials about 2 pieces of software (Java and IntelliJ) and 2 utilities (Contract Manager and Contract Runner). Examples: Not just boring academic lectures, students are guided through the process of deploying your own contracts. Exercises: The final challenge of the course is deploying a blockchain lottery contract, with the full solution available. The best part? The course is completely free with code “ARDOR-CONTRACTS”! After taking this class, users will have a clear understanding of how to deploy lightweight contracts that can be used for any purpose, whether its businesses, non-profits, or hobbyist. Using lightweight contracts will help you turn your ideas into reality! This is your first step in becoming a blockchain developer. The class is produced by Eric Funk, who also produced the Ardor Bootcamp class. Ardor Bootcamp is the complete overview of Ardor and shows users how to effectively use the software for any purpose. It has been extremely successful, with 2,200 students from over 100 countries. Thousands of new users and developers have been introduced to Ardor thanks to this class. Eric Funk is one of the best educators in the blockchain space and is available to create instructional videos for other Ardor-related projects. 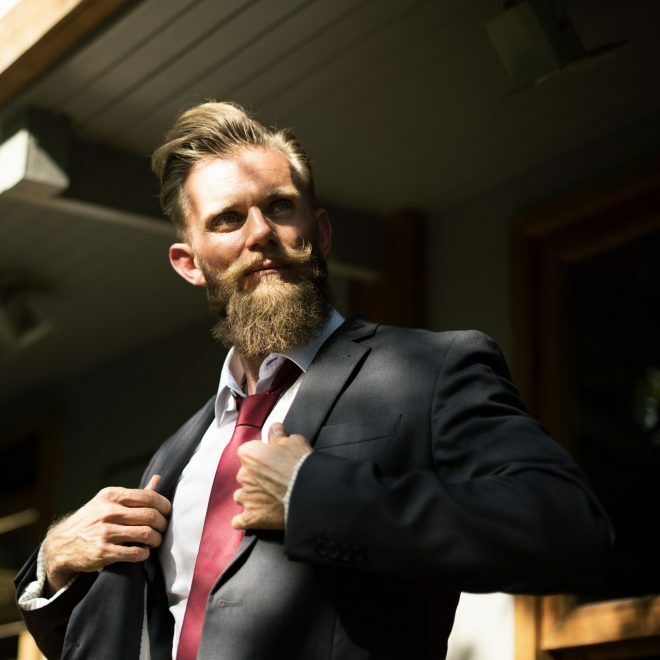 People tend to like the familiarity of routines and changing the world is often lumped in with “delusions of grandeur.” It was crazy for bicycle shop owners to think that man could fly and yet the Wright brothers built the first plane. It was crazy to think we could slip the bounds of our planet and go into the stars and yet we landed on the Moon! Maybe only crazy people change the world. If being crazy gets us things like flight and space travel, then why would you want to be normal? Not everyone can invent something new, but everyone can see ways to improve the world and everyone should be brave enough to act on those “crazy” ideas. Last week in the realm of crazy ideas we have our favorite purveyor of distributed sequentially hashed file technology, Jelurida, promoting their products across the globe – with an emphasis this week on being in Silicon Valley. Nxter is going to change soon (DEAL WITH IT!) 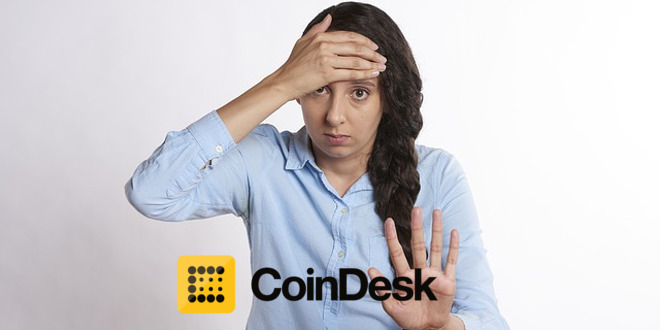 and we are teasing a new app ecosystem, the Ardor Bootcamp Udemy course is still a thing, the Triffic ICO is about to begin and is being well-reviewed, CoinDesk offhandedly insulted the Ardor community, and much more. Thank you for being with us as we take you on a journey through the busy week that was. Just imagine what is next – it would be crazy of you to do so! Video – What is the Ardor Blockchain as a Service Model? Apollo (APL) Airdrop – DONE! ArdorGate – 100K EUR Volume is Reached! 101blockchains – Ardor vs Ethereum: What Are the Pros And Cons? Since “a picture is worth a thousand words” below is 3000 words worth of pictures. As the crypto world is a bit crazy, the competition named ICO Race takes place in the big hall where 20 teams with each more ambitious projects than the other fighting with PowerPoints and shock statements. There’s nothing wrong; the team that finishes first receives 600’000 euros (partly cash, partly services)! The whole day is going at incredible speed. Between meetings and encounters no time to sleep. Travin is smiling and full of energy. He participates in a panel discussion in the afternoon. I look forward to hearing it. We take advantage of this appointment so that he introduces me to the team of Jelurida. Jelurida is the company behind Ardor, the blockchain technology we use. They just moved the head office to Lugano. During this day, I learn that it is not the only crypto company that recently moved to Lugano. It seems to me that the blockchain companies in Switzerland are mostly in Zug and Geneva and newly Lugano! The day ends, the Pigzbe project wins the first prize. Bravo Pigzbe! I get back on a train and think back of this exciting day: many business cards in my pockets, tomorrow the thank you emails will be sent. What is the Ardor Blockchain-as-a-Service Model? There exists some confusion about how Ardor is a good BaaS solution. Lior directly answered this in the video below. How does the Ardor Blockchain-as-a-Service offering work? Blockchain-as-a-Service is only as good as the Blockchain application it is built upon, and in this video, Lior speaks to the differences between other Blockchain-as-a-Service offerings, and the Ardor platform, and why it has natural advantages. At Nxter we are preparing to roll out some changes. A new brand design has been worked on for months, as well as some new services. Nxter will launch with a new logo, a rebranded and more structured website; to help you engage better with our massive selection of way too hidden content concerning all aspects of the Nxt and Ardor ecosystems. The new design will be rolled out in our email newsletter, social media channels, the website, the tools, and services gradually, in all languages. 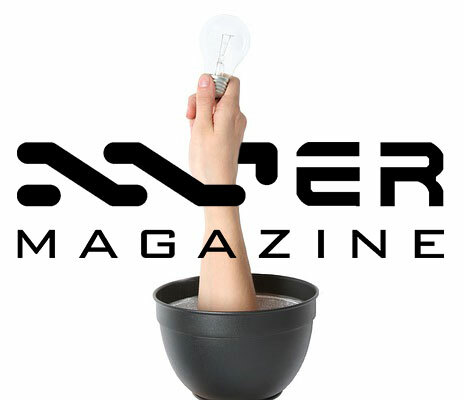 With the “relaunch” of Nxter Magazine, we will also present you with some new tools and services. SIGBRO Wallet is one of them. 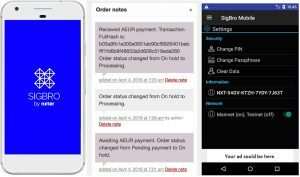 In March we mentioned our upcoming mobile app, and our AEUR WooCommerce plugin. What we are aching to present to you is a software bundle, a gateway to the Nxt blockchain and the Ardor child chain features, which will be easy for anyone to set up and use on their own websites, and in their daily life, without any coding knowledge. https://www.nxter.org/wallet/ – not quite the wallet yet. We very much look forward to sharing this with our community and the wonderful ever-growing ecosystem. Remember the Nxter review of the Ardor Bootcamp course? There is a bonus code inside that article for you if you want to attend; efunkem (the creator) has great plans for updating the Udemy content. We encourage everyone to take this online class if you desire to learn more about the Ardor platform and its robust functionality, remember it is online so you can go at your own pace! – I’m working on improving some of the videos. I pushed it out pretty fast and want to add more details and just improve it overall. Anticipate summer 2018 for a refresh. – so far have had about 40 signups, about 15 from ppl on here who already know about it, but about 25 who found it through Udemy and are getting exposed to Ardor for the first time! – overall feedback has been positive. I’ve only had one review with less than 4 stars. – considering launching an Ardor Bootcamp Advertising Asset. Money raised from sales of the asset will be used to purchase ads. Profits split evenly between the asset via the dividend feature. Will also generate voting (restricted to those who own the asset) so that the group decides what kind of ads we want to run. – overall, lots of cool stuff on the horizon for my Udemy classes and will focus on spreading the word about Ardor! I found that charging people for the info actually makes them more likely to use it, as opposed to free info that they ignore. Always open to suggestions or ideas! We love our community because they are always working on a varied assortment of interesting projects that will benefit others. This week we call attention to a new Ignis focused Telegram group created by the community (apologies CryptoSolar), for the community! Once you get past the WALL OF TEXT in this video, it can be informative. The video analyzes the Ardor platform and, uniquely, spends a lot of time analyzing the new Ardor / Ignis roadmap. ANG and the community have been compiling the blockchain Meetup events across the ecosystem: https://teamup.com/ksv4ccmkufbpbqp86o. Lior is one of the speakers of this renowned event. 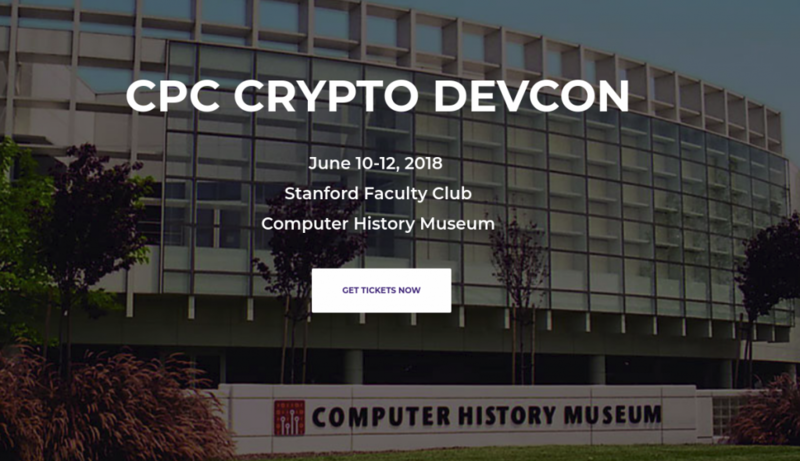 In turn, Jelurida is one of the sponsors – busy week for Jelurida and Lior as he discusses Lightweight Contracts in the heart of Silicon Valley. This week in Germany the CEBIT Festival continues on. Of all the startup platforms in Europe at the moment, none are as fast-growing or international in scope as SCALE11 at CEBIT, and Jelurida is pleased to announce that we will be on stage & have a booth within the Blockchain zone of the conference. This is exciting exposure, and we are proud to represent Ardor, Nxt, and Ignis at this event! 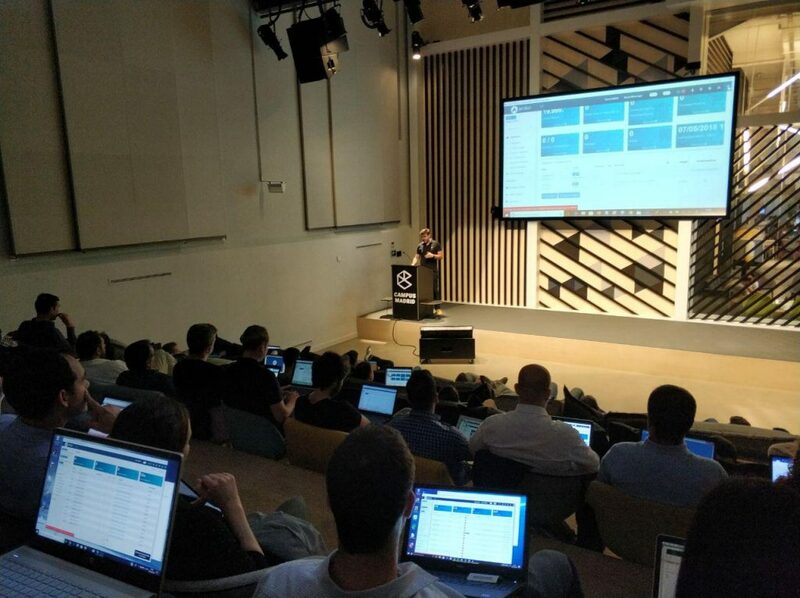 “Bring your own computer, we’ll guide you through a blockchain use case so that you can see the functionality of smart contracts.” This Spanish-language Meetup will take place in Barcelona later this month and will be an opportunity to learn about writing conditional contracts. Veronica, of Jelurida, told us that a child chain agreement is not signed, yet. Still, Dominium is advertising themselves as an Ignis asset and a property platform built on the Ardor blockchain. As seen in the above tweet, Dominium has seen a large interest in their airdrop and asset. Also – as is often the case – the huge interest revealed bugs, all of which they have crunched: email and SMS verification links did not work at all times – fixed, and 2FA with Google Authenticator has been added as an option, “whois” details for their website are now public, the site’s SSL certificate has been upgraded, and a translation module is in place. 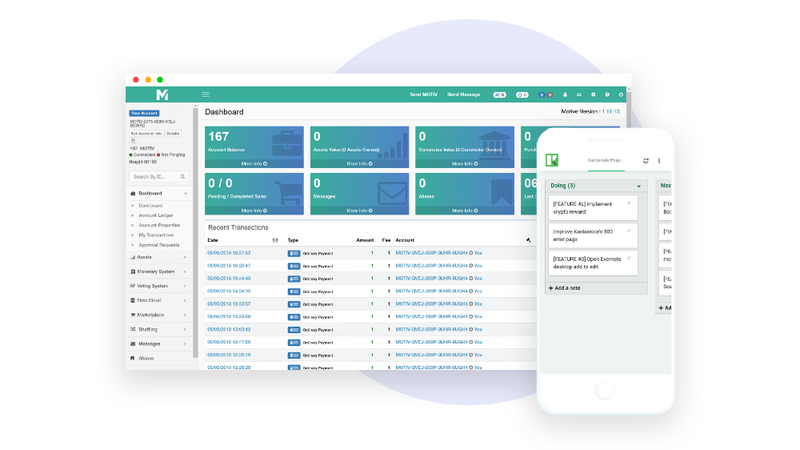 Once all this has been build, we will start working on the whitelisting for the Dominium ICO (and if you are fast the PRE-ICO) and shopping cart, as we will be dealing with the full functionality of the ICO ourselves. This is after all the best way to stress test the platform for future asset listings and their ICO’s. This week and next we are doing more marketing and we look forward to welcoming many more users to our community. By the time you read this, the updated Triffic whitepaper should be released. The Triffic ICO was well-reviewed and should be high on many people’s priority list for participation come July, when it officially begins. Apart from the ICO, nobody ‘buys tokens’. They are given to people who use the app in many different ways. Travelling about, creating vouchers, buying and selling in the marketplace, using personal services and much more. Unlike most tokens that are sold in an ICO, GPS Tokens actually have a use – they power the whole app ecosystem. Something that very much requires blockchain technology – and Ardor already provides much of the functionality we need. 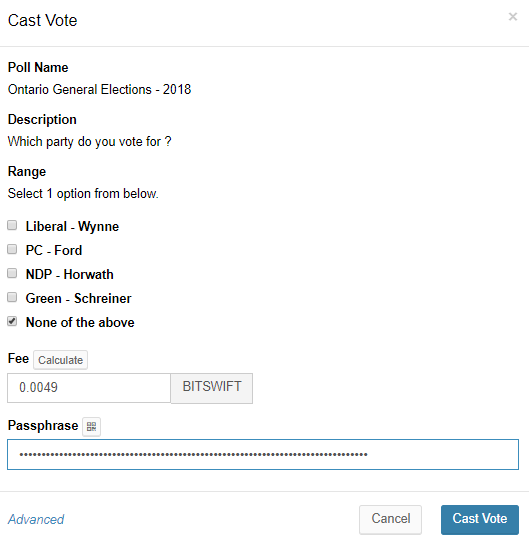 Last week Bitswift announced testing/showcasing of their voting feature. Join Bitswift on Telegram, Discord, and Reddit. This week, meet Vivien, CEO of EZYcount. Vivien wrote about their upcoming Pre-ICO, involving Tokens-as-a-License (TaaL). At EZYcount, we envisage accounting for the self-employed and small business owners as being automated and decentralised so they can focus on what matters instead of managing accounts. Accounting can and should be completed automatically. 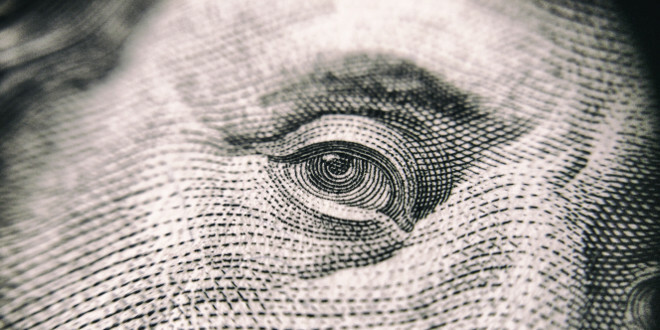 Connection to payment systems, e-commerce websites and invoicing systems enable our AI to complete tasks automatically that would manually take hours to do. Bookings are created automatically and fully completed financial statements are available within a couple of clicks, and following analysis of your data, EZYcount AI can provide you with tips to improve your financial stability. We support strong data ownership laws that protect individuals and ensure they have ownership of their data. Decentralisation ensures you will have full ownership of your data and can decide how it should be used. In order to give an incentive to participate at our Pre-ICO, we decided to take an unconventional approach. Instead of just granting the Pre-ICO participants a discount we will give out a completely different Token during the Pre-ICO. The Token available during the Pre-ICO is the Token-as-a-Licence (TaaL) which represents a lifelong and tradable license for our AI automated blockchain accounting solutions. The function of the Token available during the main ICO will have a different functionality which will be shared with our Community later on. Their whitepaper is soon to be released – you can sign up to receive it here. Metro, the Nxt clone and hybrid DEX we have been writing about over the last couple of weeks, has released their source code and a reward program to incentivize devs to take a look at it, and go for a bug-hunt. We also have a reward program for finding bugs in our code. You’ll get 1,000, 5,000 or 15,000 MTR for each bug depending on its severity. Bounty hunters – check the code and enter their discussion in this BCT thread. NXT Snapshot block: 1894000 (approximately on June 22nd). 100,000,000 MTR coins or 10% of the max circulation supply will be distributed to the holders of NXT. For each 10 NXT on your (own) wallet at the moment of the snapshot, you will get 1MTR. Also, 100,000,000 MTR coins go to the Metro development team. Apollo claims to be the first cryptocurrency with all the features of blockchain in one place. Nowhere in their whitepaper is Nxt mentioned, however as a veteran Nxter, or just slightly familiar with the Nxt Reference Software wallet and features, reading through Apollo’s materials is like one big deja vu. The Apollo team has honored the JPL and distributed 10% of their coins to NXT holders. The plan is to add further privacy features and – eventually – replace the Nxt protocol. Having utilized NXT technology as our base, we are developing Hermes to be it’s replacement. Hermes will allow the Apollo blockchain to grow faster and healthier the larger the Apollo user base grows, rather than slower as with most cryptocurrencies on the market. Where as our current speed may be 20 to 30 seconds on average (transaction times will differ) Hermes will allow for transaction speeds of 2-3 seconds. Our goal in integrating Hermes is to become the safest, fastest and most private cryptocurrency on the market. You can see your airdropped APL coins by logging into https://apollowallet.org with your Nxt account address. We recommend you NOT to login to any online node by using your passphrase, as this is the same passphrase that gives access to all your NXT, your other airdropped coins + probably also your holdings on the Ardor blockchain platform. In order to move airdropped coins into a new account, we recommend you to create a new account address, set up a transaction of all your clone coins to this new account using the online clone client – but instead of signing online with your passphrase click “Advanced” > “Do Not Sign” > “Do Not Broadcast”. Now copy the unsigned Transaction Bytes, and transfer them into the NxtBridge OFFLINE tool. Sign with your passphrase (private key), and copy the signed transaction bytes back into the online clone client. Broadcast the signed transaction bytes (cogwheel > Transaction Operations > Broadcast Transaction). You have now moved your clone coins to a brand new account without exposing your passphrase to the clone server, or anyone on the internet even. Should we make a “How-To” video? What are you going to do with APL coins ? sell them, in this case you can now use https://nxttracker.com/ArdorExchange.html, I have just implemented this !!! Last week we mentioned VOLP coin for the first time, as the team issued a placeholder asset on the Ignis chain, which will be their crowdsale token before they launch their new protocol – a hybrid between a Nxt clone and their Volp AI protocol. There is no date for the ICO or the airdrop to NXT holders yet, but the Volp team decided to enlighten us with some more details last week about their project. Recently, a user asked questions that encouraged us in advance to write more about the Volp Protocol, we believe that this information is important for everyone. With the Volpcoin beta, we obtained through parallel simulator results up to 2 million transactions per compacted block with dimensions of approximately 5 kB. These data refer to the tests applied in Volpcoin beta through a pilot implementation of the Volp protocol. We use a hybrid VM kernel that we built from scratch to run in symbiosis with the Volp protocol along with a compiler of our own, specific to this application. Soon we will make available all the technical data on the website and the behavior collected by us during the period that volpcoin beta was active. Note: The size of the results obtained in the compression of the Volp protocol may seem empirical, but it’s one of the most important things that we could project in the period of 2002-2006. We are at this very moment, performing load stress on the protocol, so we can identify underlying anomalies. We have a new NRS Update from Jelurida – the Nxt client changelog is listed below, along with the link to the update. Hello, everybody! Nxt v1.11.14 has been released! Lior announced that continued Lightweight Contract development is ongoing and rapidly progressing. Also, the potential news of a Lightweight Contract that rewards Nxt forging with IGNIS is very intriguing. Woohoo, build it and they will come! With Ardorgate.eu you can deposit EURO on to the Ardor Platform and trade on the DEX. Earlier this year the ANG helped raise over $100K to list ARDR on Binance. Months of silence have infuriated many. Elizabeth, the director of the ANG, released this statement about the ongoing (and slow) progress of the application to list ARDR. To reiterate some facts to follow this tedious conversation. The funds have been collected, the application has been made to Binance, and NDA has been signed. I have confidence any difference in the value of the collected funds will be made up. We can only wait patiently and let Jelurida work this on our behalf under NDA. 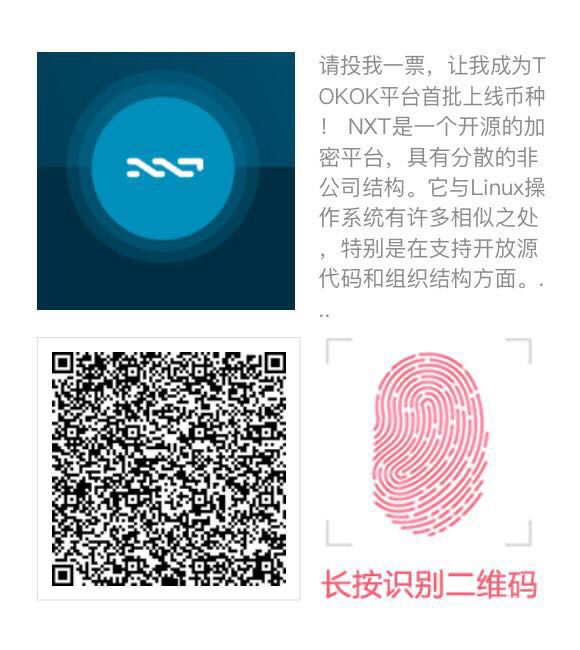 Nxters can vote to get NXT and ARDR listed on this upcoming Chinese exchange. TOKOK.COM will launch its trading system in June 2018. Now we have to decide on the first listing coins. In line with the goal of building a consensus community, it is our duty to serve the users and make them satisfied, we decided to launch the first listing coins vote activity. The result announcement time: June 25, 2018 at 15:00. 3. You will be directed to a webpage inside wechat, scroll down and locate [the Nxt or the] Ardor icon, below the icon tap the orange button (投票) to vote. 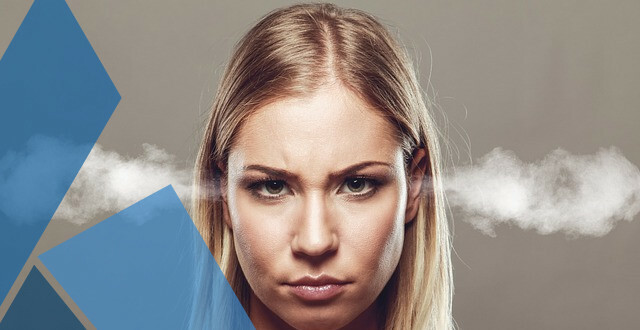 In Lior’s latest Medium post he explains the pitiful state (pun intended) of smart contracts. Technical in the extreme, but extremely informative. To summarize, relying on the contract to save its state is a bad idea, it opens up many attack vectors and manipulation options and also causes constant risk of locking funds in a contract because of difficult to find bugs. Since lightweight contracts are executed by a single node not by all nodes, there is no risk of flooding the blockchain with duplicate messaging transactions. As you can see the contract is invoked, does some processing, submits some transactions and quits. The next invocation of the contract does not rely on any data saved into the contract itself so can run in parallel. 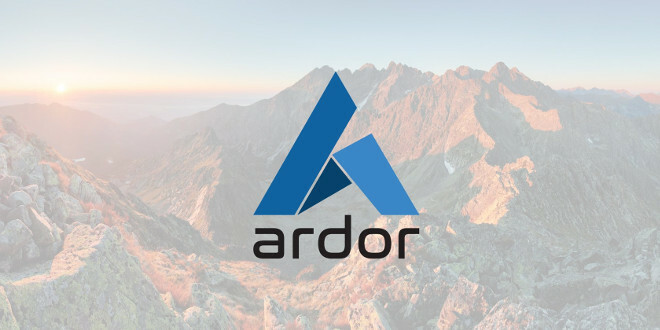 We believe that the stateless approach to contract execution used by Ardor will prove safer and more scalable compared to other stateful approaches. Wow…just wow. 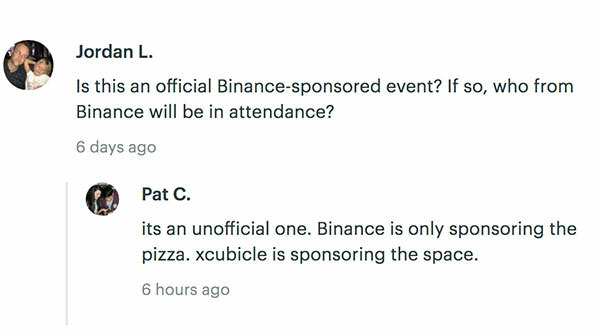 CoinDesk is probably the preeminent name in the blockchain space and to be humiliated by them is – initially – an affront. The gist of this article is supposed to be the toxicity of cryptocurrency fanbases on Twitter – a valid point. But the explicit accusations of our Nxter community as being the champion of a toxic, social media “bias train” is a step too far. To demonize an entire community based on a tweet is a very poor metric to casually dismiss the legitimate desires of many. Do not be the troll, Mr. Casey – if people ask you to pay attention to a PoS blockchain 3.0 project that has spent more effort in developing a quality product since 2013 than it has on the marketing / hype-train then perhaps it is worth doing so. Far be it from us to tell you what to do and what to dismiss but your “casual” dismissal of an entire ecosystem based on such petty and petulant things as some tweets is frankly insulting and unprofessional. Kindly, don’t mix your emotions up with lack of research, or, in the worst case, it could be read as a bad attempt at spinning. Will buying and selling property on the blockchain be the “killer app” that makes blockchain a “must have” piece of technology? This article insists that a future of listing real estate on a blockchain and using tethered tokens like AEUR, and stateless Lightweight Contracts, our suggestion, can propel the homebuying experience onto the blockchain. Read an Ardor use case. 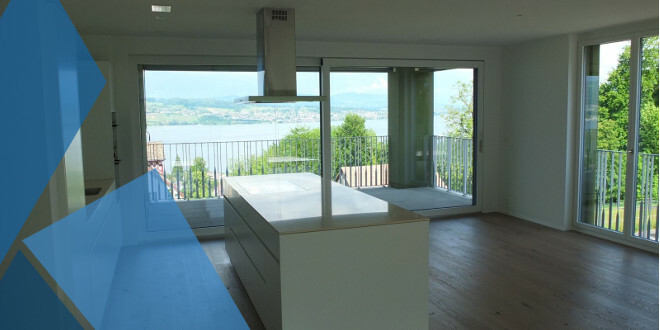 Imagine that we had a digital identity on the Ardor platform and that there was a land registry right into the Ardor blockchain with each property being represented by a singleton asset. – the bank sets up a Phased Transaction (bank, buyer, seller and notary have to approve) in AEUR (Ardor) towards the seller and confirm the mortgage amount. In this way all verifications can be done and the final approval would allow the transfer of funds and the property asset. By transferring the singleton asset, the official property registry is automatically updated as it’s in the blockchain itself. What could come next, is a full trustless property sale where the notary would not be needed. Once all transactions are approved by all parties, they will be executed at the Phased transaction’s predefined deadline. E.g. after the deadline is reached, the money from the buyer and the bank are transferred to the seller and the property ownership is being transferred to the buyer. A simple refresher on the business use cases of Ardor – easy to implement and easy to maintain. Our readers know this, but it is nice to see the larger community realizing that Ethereum is not the “prodigal child” of the blockchain space. 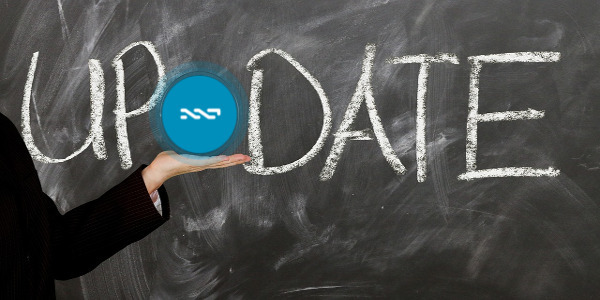 Ardor being an evolution of NXT, which was the first [altcoin] ever built from scratch, comes with a lot of improvements made possible by the alteration of the underlying blockchain. For starters, it frees itself from much data to enhance efficiency and speed through the creation of multiple chains. In contrast, Ethereum just like Bitcoin stores and processes transactions on a single blockchain. For this reason, it currently has a capacity of 121 GB blockchain which means revalidation must take place for all new nodes. This explains its scalability issues. Last week we mentioned this interview that Lior conducted while in South Korea. Now we can link you to the video where Lior explains what the Ardor platform can do and provides examples of how it can be used. An entertaining 12-minute interview with the always great Lior. ANd that was all for this week, fellow Nxters. Follow us on Twitter or Telegram for important breaking updates during the week as they happen. Keep on working towards your goals and dare to change the world for the better! We hope to see you back here next week. Help Nxter.org grow and help us continue to provide focused coverage on the ever-growing blockchain space by rewarding us for our hard efforts. Donation address: NXT-TK9J-MEKH-MUP9-HFCH2 / ARDOR-TK9J-MEKH-MUP9-HFCH2. Thanks. Progress is not always elegant or “picture-perfect.” Progress is often slow, painful, but ultimately greatly worth the momentary inconveniences of the growing pains. The computer did not change our lives in a day, it took decades for the technology to mature to benefit the average person. Then came the internet which exploded in popularity after only years. Now we have blockchain and ICO’s and cryptocurrencies and the like. America continues to, slowly, appreciate and regulate ICO’s and tokens like XRP and ETH – more ICO’s are planned for this year than ever before and we are at the forefront of this technological evolution! Progress is moving forward and learning these things – if this scares you, well, it should not, it should excite you! Last week we challenged you to spend an hour using the Ardor client. Did you do it? We are not here to judge you, rather we are here to guide you through all this. Last week was eventful for the Nxt / Ardor / Ignis community. Jelurida released an intermediate roadmap, new videos, we warn you about filthy scammers, we reviewed the Ardor Blockchain Bootcamp course on Udemy and confirmed that you, yes you can become an advanced user of Ignis and Jelurida’s Ardor client. We bring you the latest info on the Triffic ICO, the latest Meetups that are happening (and there are many), and much more! We welcome back our old readers and warmly welcome our new ones. We want our readers to stay up-to-date with the blockchain evolution and we also want our readers to keep themselves and, their data, as safe as possible. 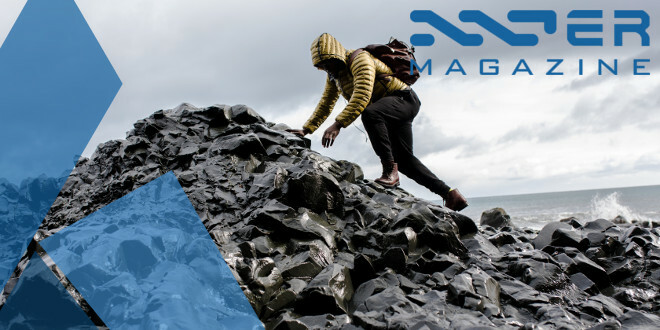 Become experts in the Nxt / Ardor / Ignis blockchain ecosystem. So lean back and learn about all of last week’s progress. and What is the Value of the Nxt Blockchain Platform? Bitscreener – Innovation and Enthusiasm Abounds in Crypto, but Where is the Trust and Experience? TradingView – NXT on 4X Profit This Summer? As promised I’m posting an intermediate roadmap update for Q2/2018 in order to update the community about the development progress. The release of the full products roadmap, including NXT, is scheduled for the Ardor Seoul Meetup and will take place on May 28th. The Pruning and Snapshots feature will be available on testnet in Q3 and on mainnet in Q4. We are making good progress with the design and implementation, however, we must make sure everything works 100%, before we can go live with such an important and unique feature. What is this “Transaction Vouchers” now? 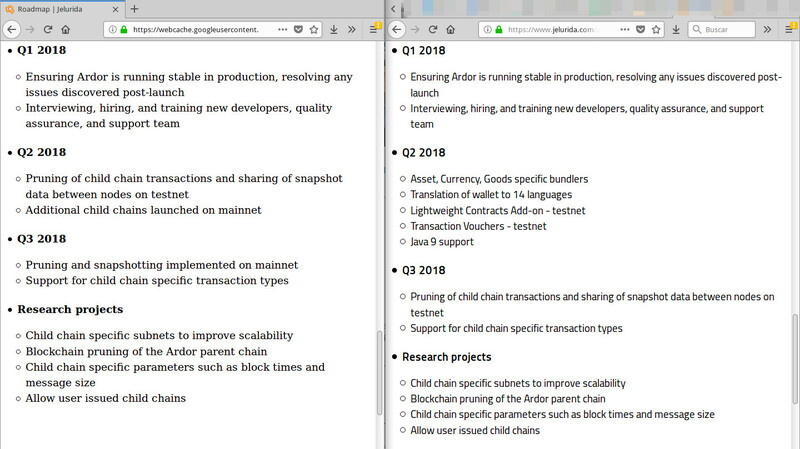 And where did the “Additional child chains launched on mainnet” in Q2 go? 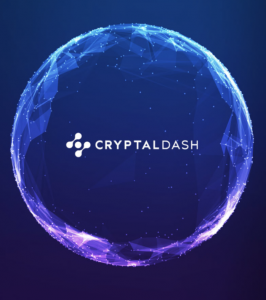 We will have to stay excited until the 28th of May when Lior goes on stage in Seoul, but following the indicators and action going on on the chats and forums, it is not a delay that we need to worry about. Triffic, the first child chain ICO on Ignis is not delayed, the Transaction Vouchers concept is well explained by Lior in a video below, and “Asset, Currency, Goods specific bundlers” looks like an addition that screams for getting more attention soon. If you recall the “0 transaction fees post” about custom child chain bundlers, you might have a hunch about what will be added. At Nxter.org we feel nothing but confident and eagerly await the next two weeks. We will be presenting the Ardor technology for two hours plus Q&A Monday May 14th at 18h CET. 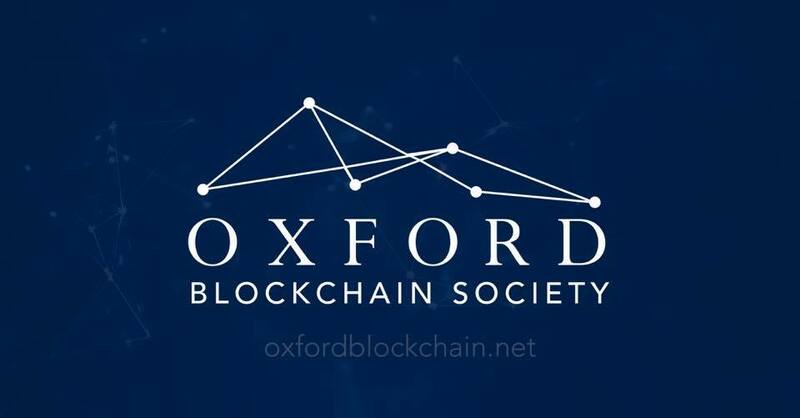 After the talk, we will have dinner with the main representatives of the Oxford Foundry and the Oxford Blockchain Association, to discuss further potential collaborations. It’s so exciting to be working with these great minds on the future of this technology. Last week Nxter reviewed the Ardor Blockchain Bootcamp offered on Udemy. The 3.5-hour course is designed to transform even the newest, most unfamiliar person into an advanced user of Ignis and the Ardor platform. 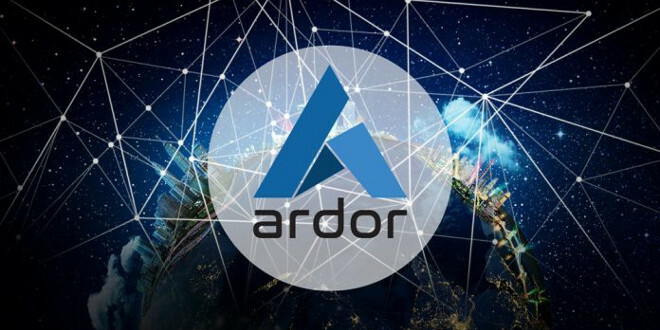 Over the course, you will be asked to create and issue your own assets and currencies on the Ardor TESTNET and gain first-hand experience using much of the rich and unique functionality of Ardor. Well worth the fee to register, and there’s a special Nxter coupon code for YOU inside the article. Some weeks ago Binance announced a “Dexathon“, a coding competition with a $1M prize. The competition aims to create a new decentralized exchange (DEX) that will use its own native blockchain, Binance Chain. Having launched the world’s first DEX, with the successful Nxt AE (Nxt Asset Exchange) online from 2014, some community members found it hard not to pitch in. One person that took matters into his own hands was community member: @patoshi. 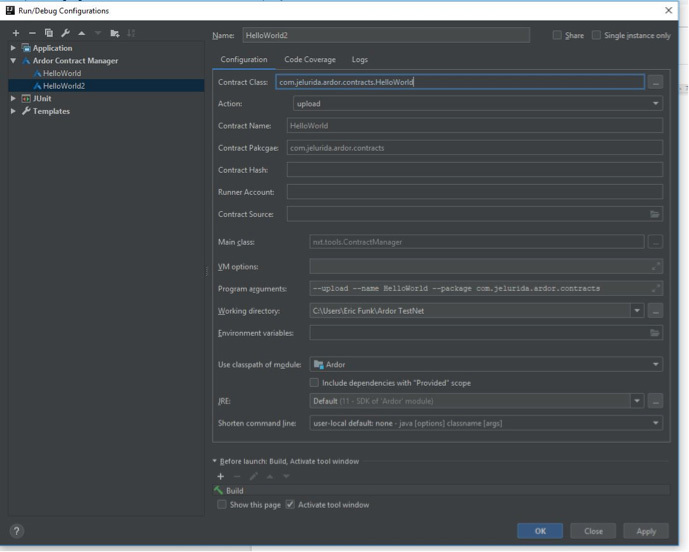 giving an ardor demo…. lets see how it goes. I’m looking forward to talking with Patoshi this week at Consensus and looking at ways ANG can help. There are so many opportunities for team work and support here in our community! @patoshi is working hard on many fronts. 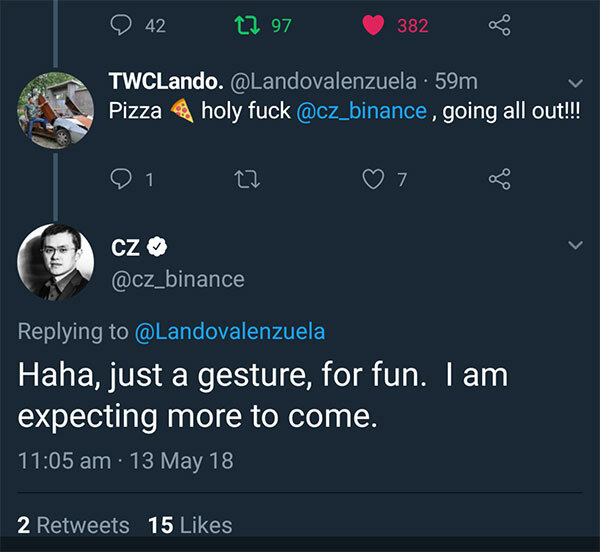 It will be fascinating to hear more about both his Meetups in NYC and his development projects! Lately, a lot of fake twitter accounts are appearing offering Ethereum giveaways. Jelurida has them, Nxter Magazine, nxtplatform, ardorplatform, ardornxtgroup, sazan have them. Ask yourself: would any of us give away free ETH? If it seems to good to be true, it is. The fraudsters impersonate our profiles to promote their scams – it is not very brilliantly done, but we can see that they steal from some. Nxters, please BE AWARE! One of the hundreds of scammer accounts. Blocked us, so we can’t them. People, do not fall for it. Seriously. You do not send cryptocurrencies to accounts you do not know. And Nxters, if you see fake Nxt/Ardor accounts, please let us know, and help us report them. 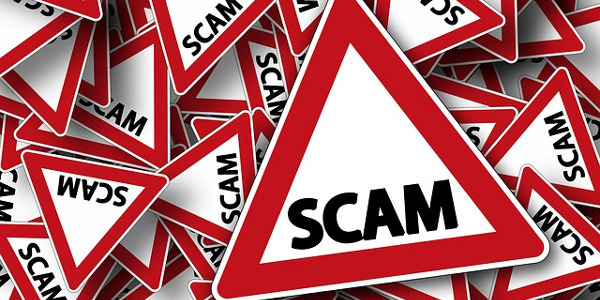 Newbies are getting hurt by these scams! So they released people’s ardor and Ignis after 5 months? Can’t be. Unfortunately they didn´t credited my IGNIS airdrop coins. Help us hold them responsible! Nxters, readers, other crypto followers – opening the wallets is great, but finishing the distribution of the IGNIS Airdrop tokens as promised should be accomplished too. https://changenow.io, Ardor and Ignis enabled. Looks like its finally working (at least it provides the exchange rates which was a problem with IGNIS last month). If someone would like to test their service I would really appreciate it. New Coinbit Exchange opens Ardor and Nxt trading pairs to Korean Market. The author, after attending to the Blockchain for Business Meetup in Madrid, decided to create this informative and easy to understand piece about Ardor. Spanish language video. The Meetup in Madrid went well last week. We will post related videos and stories soon. Many opportunities to showcase your support, passion, or curiosity about Nxt, Ardor, and Ignis present themselves in the coming weeks. A reminder for all Nxters, Nxt, Ardor and child chain community members – the community has been compiling the blockchain Meetup events across the ecosystem: https://teamup.com/ksv4ccmkufbpbqp86o. As soon as Ardor ecosystem event dates are known, put them into cryptoCalendar to get the word out. Coming agenda — TOP TOP TOP! Jelurida is a principal sponsor for Global Blockchain Technology Summit in London, May 17-18th. The summit will focus on cybersecurity, regulation, cryptocurrency, smart contracts and more. We will continue to expand our community and keep Jelurida at the forefront of the Fintech market in Berlin, at the end of May, as we attend Blockshow Europe. Myself, along with longtime community members like Alberto Fernandez (@almonte), Gabriel Francesch (@gabriel) and Moritz Warntjen (@mrmoejoe) will meet in person and have the opportunity to network together. Can’t wait! 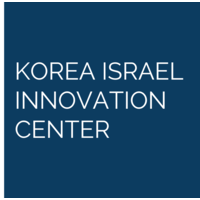 May 23-29, joining leading #Korean corporations at #Seoul KIIC event for an exclusive project connecting blockchain startups (#Jelurida) with leading Korean companies https://t.co/uhvry9mbYO , will use my time to meet with community, exchanges, startups, more info soon. The Triffic team updated the community last week about when their anticipated ICO is going to occur – June 4th is the announced date. 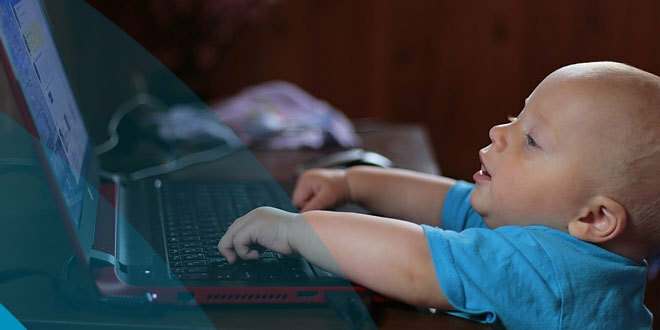 We are holding our ICO on the Ardor platform and eventually we will become our own Ardor childchain. This is a fact, but there’s a huge reason why it doesn’t appear on the roadmap. That’s because the child-chain implementation timescale rests with us and not Jelurida. As a company, we have several hoops to jump through before we are ready to implement the childchain. We have our ICO, we have building and scaling our app. We have to build up the worldwide community and we have to ensure that what we create is compelling for as many people as possible. This may take six months or less, it may take a year or longer – at the moment there are so many variables, it’s impossible to predict a timeframe, let alone one that is publically announced to fit in with another company’s roadmap. My point to this is that the perceived slowness of new childchains is nothing to worry about. Good projects take time to do properly, but they are coming. Moreover, Paul Busch created a practical guide to Bundling Bitswift. Bitswift is also building a global digital copyright system to showcase how the Bitswift blockchain can be utilized for transparency purposes while proving immutable ownership of digital data. In this video, Lior explains a new feature from Jelurida’s roadmap, “Vouchers”, to a captive audience in Oslo. In essence, “Vouchers” look like an easier way to create unsigned transactions JSON’s and send them to each other. You can do this with NXT and any Ardor child chain already, so what we are looking at might not a completely new feature but an optimization of the UI, and perhaps some new API’s. In the video, Lior shows how to send a “Voucher”, consisting of a simple money transfer – in essence, an invoice for money owed. 1. Log in to any node, like nxt.nxter.org or ardor.nxter.org with the Payer’s account address. 2. Create the transaction and click ‘Advanced’ > ‘Do Not Broadcast’ > ‘Do Not Sign’ > ‘SUBMIT’. 3. Paste the ‘Unsigned Transaction Bytes’ or JSON into a text file or an email and send it to the Payer. The Payer can now sign it with his passphrase and broadcast the transaction. Or sign with NxtBridge OFFLINE tool or SigBro OFFLINE, and broadcast securely via the nxter.org website. We look forward to learning more about the inbuilt “Vouchers” feature, which is planned for testnet in Q2/2018. 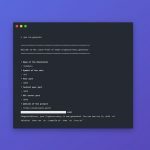 Building upon the backs of giants, one Farbod Saraf, announced his project CoinGenerator: an open-source command line tool which allows you to create your own Proof-of-Stake (PoS) cryptocurrency (a Nxt blockchain clone). A nifty and elegant idea – but remember, per the terms of the JPL, 10% of any tokens created are reserved for NXT holders. Integrate blockchain to your existing product (e.g. to create a gamification ecosystem for your app) – or just play around for testing. PS. For every cryptocurrency being generated via this tool, 10% of the tokens go back to NXT holders (due to NXT JPL license). Come share this special moment with us on Product Hunt (we’re trending!) and tell us what you think about CoinGenerator. So basically 10% of the MOTIV coins will go to NXT holders. Same for any other projects made via this tool. Updates from the Ardor Lite project. Coin exchange crashing should be resolved now. Also added abilty to view public messages along with a few other small tweaks. Please let me know any suggestions. Next version Im planning on increasing the number of coin exchange trades used in graphs. It’s currently at 200 trades. 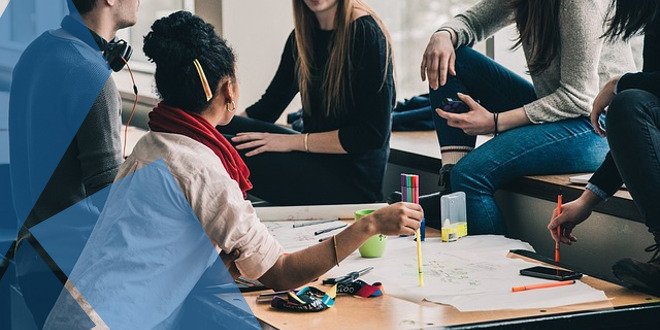 We understand that our community truly is a global one and we respect that not everyone knows English – to this end we are working hard to have reliable and regular translations of the Nxter newsletters in the most popular non-English languages of our community. Starting this week Nxter.org will be adding Korean, Russian and French sites as well. If you have a project on Ardor or Nxt, or thoughts you want to share in a blog in your own language, please contact us. 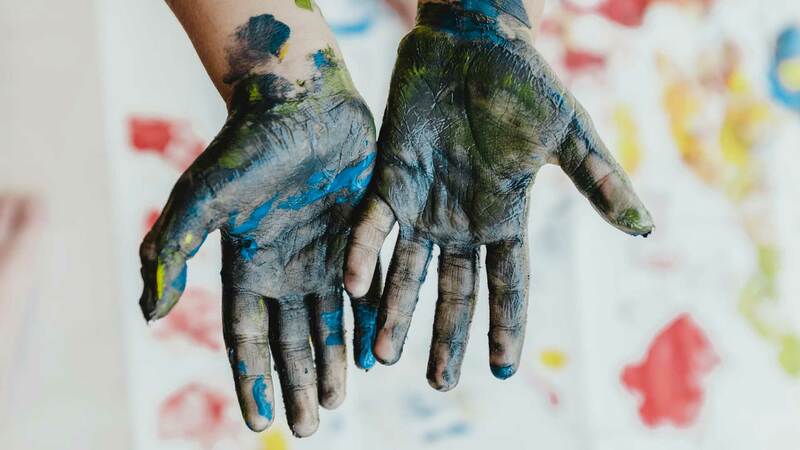 In this article, the author guides you through step-by-step how to create an asset on Ardor using the Asset Exchange. It really is that easy and simple to do! Ardor is touted as the leading contender in the BlockChain as a Service space and with good reason. It is more user friendly for individuals or business to get started with as everything can be done out of the box from within the official wallet without stress or worry. This article present use cases for blockchain and Ardor is highlighted as the premier example of Blockchain-as-a-Service (BaaS). Many blockchain projects have tried different methods to fix Ethereum’s scalability issue, including Ardor, the new BaaS that offers data cloud storage, customizable monetary tokens, decentralized trade, encrypted voting and messaging, and a local marketplace. Where Ardor is notable is in its unique method of tackling blockchain bloat. Ardor actually consists of two blockchains: a parent and a child. The parent chain, Ardor, takes on the brunt of the processing functions, while the child chains pay a fee to have their transactions processed. Older transactions can then be pruned, with certain nodes opting to act as archives for obsolete transactions. Ardor has already launched its first child chain, Ignis, with more to come, promising a cost-effective and secure solution for companies to piggyback on a full-fledged blockchain as opposed to building their own from scratch. ICO’s are exploding and it seems that everyone is trying to get in on this “hip” scene. But there are few trustworthy entities out there and the phrase “Caveat emptor” holds as true as ever. Jelurida continues to buck this trend by bringing maturity and experience to the blockchain space as there is a direct legacy between 2013 and the creation of the first 2.0 blockchain, Nxt, and Jelurida now. With years of experience and mature technologies, Jelurida is a lighthouse of stability in a cluttered and crowded sea of “bandwagoners” seeking to make a quick buck by throwing a celebrity and a flashy marketing campaign. Jelurida, the company which owns the NXT Blockchain [IP rights], is another one that has history of experience having been around since November 2013. Jelurida is also expanding its growth with the experience it has garnered since taking up NXT, by building the Ardor Blockchain. 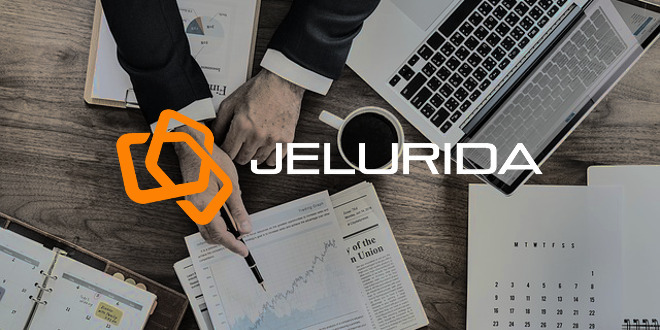 Both of these products from Jelurida are suitable for companies, but they differ in that NXT is designed for the private sector, and the public sector where as Ardor has more use-cases in the business sector. This indicates that the company has taken the time, and garnered the experience, to decide what is right with their Blockchain solutions in different circumstances. Jelurida is strategically maintaining and developing for both Nxt and Ardor as both of them have common selling points, like PoS, java, APIs, and other such working features. It has behind it trust, as well as experience, something that is vital, but mostly lacking from the new wave of cryptocurrency businesses. This article is a well-done overview of NXT. From the creation of the Nxt blockchain to the definition of Blockchain 2.0 to the present day: this article highlights that although Ardor is technically Nxt 2.0, the original coin and its blockchain are still around and still worth keeping tabs on. 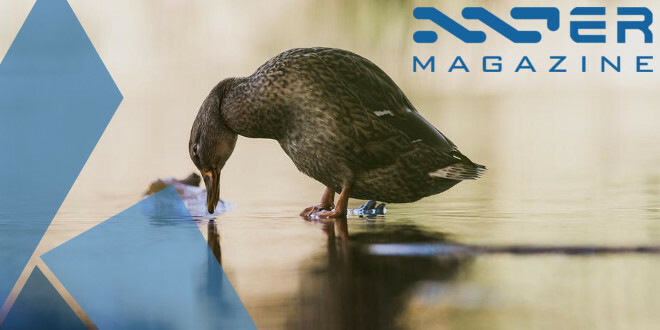 Nxt was the original proof of stake coin, and is considered by some to be the realization of blockchain 2.0 – an improved version of Bitcoin built with Java. It has lost its luster over the years, and other blockchain 2.0 technologies have stolen its limelight, but it is still a powerful and unique blockchain. With the development of Ardor, the Jelurida group hopes to restore its grip on blockchain 2.0 technology, with an improved and scalable solution. You can learn more about Nxt here or get involved in its active community of enthusiasts and developers here. You’ll also find a download for the Nxt client, as well as an online demo to show you how the client functions before you download. A nice “How-To” guide that allows you to create your own Nxt based Proof-of-Stake (PoS) blockchain. Similar to the abovementioned CoinGenerator project, this comprehensive guide walks you through the set-up and deployment of your own blockchain. The Cryptocurrency will be a clone of Nxt Cryptocurrency. It uses the Proof of Stake consensus. There is no mining needed so it’s energy efficient. Also, the source code is in Java which is very well written and very easy to understand! From the same author as the previous entry, this article walks you through the creation of Motive, a cryptocurrency that rewards you for “getting things done” (GTD). An interesting, but long, read. Creator: On the left, the wallet of the cryptocurrency created, and on the right, Kanbanote! Now the cryptocurrency works. I had to integrate it to Kanbanote. (…) I always try to improve the user experience, so this Cryptocurrency should not interfere with a normal usage! That is all for this week, Nxters. Follow us on Twitter or Telegram for important breaking updates during the week as they happen. The blockchain world is growing and progressing with every passing week and the sky is not even close to the limit of the potential for this great technology. Progress is hard work, but it is worth it. Learing about blockchains like Ardor is going to be work, but it will pay off once you begin seeing the immediate benefits! See you back here next week! We will keep you updated on the growing world of distributed ledger technology. What a great feeling it is to challenge yourself and accomplish something that you have been meaning to do so for a long time. As an editor of Nxter for the past year, I have written much about the advanced functionality of Ardor and yet my dark secret until last week was that I had never truly explored the advanced functionality of Ardor. Sure I could parrot the concept of Phased Transactions but I have never created my own approval model. I could highlight the Asset Exchange functionality of child chains like Ignis, yet I have never issued my own asset or even bothered to see what assets are out there. I have that exact shirt! But the plot twist here is that I decided to change all of this. I conquered my fear and my inadequacy and dammit I sat down and went to the Ardor Blockchain Bootcamp. Herein lies my review, and my experience. SPOILER ALERT: the course is very well designed and has something to offer anyone, no matter their experience level and I highly recommend it to anyone who desires or wishes to be able to explore the advanced functionality of Ardor in a structured and guided manner. Yes, this course costs actual cash money, but I fervently believe that this course is a bargain for anyone who completes it as they are going to have a very solid understanding of many, but not all, of the functionality of the Ardor client. For the uninitiated, Udemy is a website full of online courses, designed by knowledgeable and passionate people that are structured to teach you about specific courses. I needed to register an account with them to take this class. The headphones are on, the calming lights are activated and I am ready to do this. The very first thing I am treated to is a calming video of the creator, Eric Funk, explaining to me what I am about to learn and what the objectives of this course are. I am excited to gain real-world, hands-on experience with the advanced features of Ardor. What lies ahead of me is creating my own cryptocurrency, setting up my own poll using the Voting System, creating my own Asset on the Asset Exchange, issuing my own currency and more. I am actually knowledgeable about everything in part one, as is likely the average user. The first videos are likely very skippable for most Nxters – chances are that most everyone already has the Ardor client installed and an account created. No worries if this does not apply to you. Like many Nxters my Ardor account is the same address as my Nxt account, but you know, with ARDOR prefixing it and not NXT. It was a little odd seeing an account creation process from scratch. One thing that I heard that bears repeating, nay, tattooing onto your forehead, is that THERE IS NO CUSTOMER SUPPORT for Ardor. If you lose your PRIVATE KEY you have lost access to your account. This is the 21st century people – take some responsibility! An interesting note is how US-centric these videos are. As our American audience knows, about the only real way to access the crypto world is through Coinbase. Oh, the horrors, the PTSD-like flashback of my account registration process with them last year. Shivers descend down my spine. Yet I persevere, I am not afraid. A critique I have is how hand-wavey the “Obtaining Ardor” video is for those who are truly beginners. The course recommends buying Bitcoin and converting it to ARDR on third-party exchanges. It reminded me of those cooking shows you see on TV: the host just magically has a pre-made version of the recipe just below the counter while you are struggling and making a mess of your kitchen trying to mix all the ingredients together. The video abstracts away A LOT of the frustration many users will experience as they try and convert fiat currency to crypto. Alas, us Americans do not have access to MisterTango accounts so the convenience of AEUR is unavailable to us. Regardless, the videos do a decent job of explaining how to fund your account with ARDR. Now I am watching how to declare your public key by completing my first transaction. I want to nitpick how he does not explain the difference between Ardor, the blockchain, and ARDR the token of the blockchain. I am a perfectionist and such things bug me to no end. But again, I am here to learn and not to complain. Overall the first part was very informative and complete – it exposes the core important concepts of blockchain without going into unnecessary detail. Simple and easy to follow along and all-in-all a pleasant experience. Videos around an hour. Wow, an hour of my time has passed. 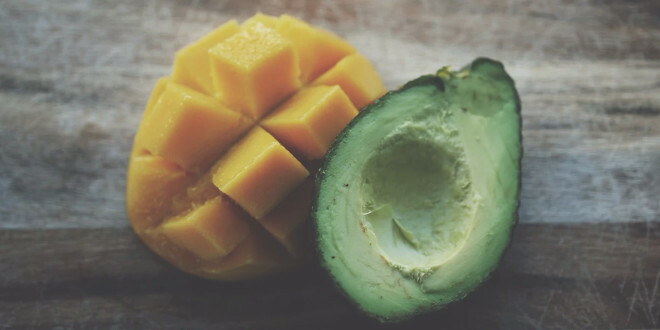 I felt like I deserved something and so do you for reading this far. 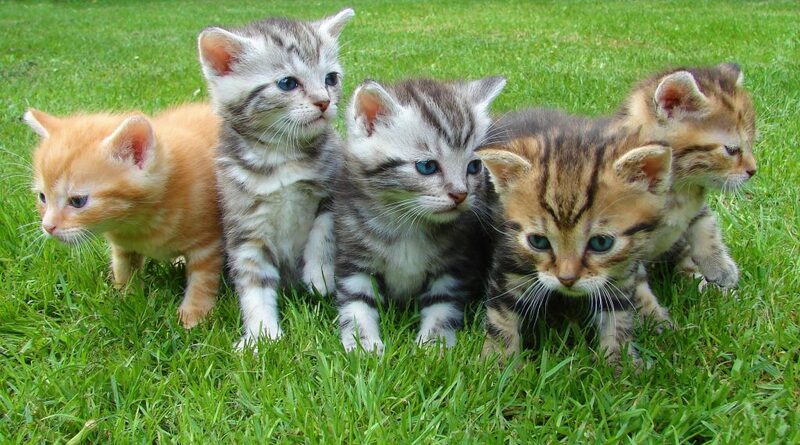 I present you with fuzzy kittens! Part two of the course gets you down and dirty with the Ardor. For those only interested in trading crypto, Part 1 is enough. For those wishing to truly use and appreciate the future that is the blockchain, part two is for you. This is also where casual users of the Ardor platform can jump in and begin dabbling with the advanced functionality of the client. Here I begin to explore the functionality of Ardor by using the Ardor testnet! Essentially I am using a real copy of the Ardor blockchain with FAKE tokens that have no real value. This way you can experiment without fear of losing tokens. From here on out the course takes place in the Ardor testnet in your browser and not in the Ardor client. A shout out to Ardor.World – man this a great resource for anyone. In order to proceed in the course and become adroit at Ardor, I need to fund my testnet account. Luckily, you can get FREE testnet coins from the faucet links on the landing page! It seems odd to me that FAKE testnet ARDR and IGNIS tokens are scarce – like why can I not have infinitely many fake ARDR tokens? I suspect that has something to do with how Ardor.world is set up. If I am wrong, please correct me in the comments. Interesting to note that all the exercises for this section make use of the creator’s testnet accounts. There is no reason not to use your own, but I wanted to see if I could exactly use the same testnet accounts as Eric, the presenter, and I totally can. I feel like this does not scale with increased user activity, but hey, it works. I finally get to experience conditional transactions. Not sure why they are called “Phased” transactions – I am ignorant of that distinction, I suspect it an esoteric computer science term. I created my first Approval Model and I saved it! Yet WTF am I limited to FIVE characters to naming things. Arbitrary limit is arbitrary, yo. Continuing on now I am experiencing the Asset Exchange part of Ignis. I get it now, Ardor does not have an Asset Exchange. You and I cannot issue assets on Ardor but we can on Ignis because it is permissionless! That is sweet and totally makes sense now. This is coming from a guy who has written about this for a while now and yet it did not click until I actually created my own asset! The importance of asset control is mentioned many times here – the ability to control who can trade the asset. Issuing assets and creating dividends is fun, it makes me feel like my own CEO. It is annoying how you need to search for assets by IDs so I hope you have handy the long string of numbers that represents the assets you wish to buy. A poorly optimized piece of UI for the Ardor client, but hey, it is what it is. Disclaimer, I understand that asset names are non-unique and that during the Ignis ICO there were many scammers out there selling assets named JLRDA. The only way to be sure you have the correct asset is by the asset ID. I just wish that there were a UI mechanism that would allow for verification of proper asset names such that I did not need to keep an ID string around. I also get what Singleton assets are – nondivisible assets; like those absurdly popular crypto kitties on Ethereum. Oh, for anyone who diligently does the exercises using the same testnet accounts you will need to copy and paste the passphrase like literally a million times. Now for some real unknown waters for me: the Currency System. I have no idea how to create a currency, let alone do I know how they are different and distinct from assets. My understanding of Ardor continues to grow, as does my hair but that is not the point. The point is that I am deep in the course now, over two hours, and I am continuing to comprehend and appreciate the advanced features of Ardor. Issuing my own currency is a little weird for me, but hey I can say that I have done it. The nuances of whether or not you want your issued currency to be “Reservable” and/or “Claimable” are subtle but powerful. Luckily the Ardor client (testnet and mainnet) are smart enough to not allow you to issue a currency with conditions that make it inoperable, but I sure wish that there was more documentation on what the significance of the categories are. I know the nxtwiki has documentation on this but it is not easy to grasp everything fully. It was fun to learn that, in essence, you can create “mineable” PoS coins and that you can enact conditions that only release the currency when they are fully met. There are many different currency types and different use cases for all of them. Admittedly this part was a little hard to follow. The last few sections covered the many topics briefly. I created a poll whose only participants were the holders of my fake Ignis asset. Sweet – I see the usefulness of these polls. Why do I personally not use polls more often? Nxter needs polls – they drive engagement and are very easy to use. My only doubt is how can you link to them? This question is going to keep me up at night. But boy, are they useful! The Data Cloud is cool, but documents are limited to 40K of space, good for hashes and code snippets. I understand that I can pay for more but man that seems small. Also, kudos to whoever listed Top Secret as a tag in the Data Cloud. I salute you, sir, or madam. The Marketplace functionality of Ardor is great. I am guided through the Marketplace. The ability to list and sell things is great, but I wonder what guarantees I have of receiving the product? The same question exists on Craigslist and eBay but with them, the company can intervene on my behalf if a seller does not ship the product. On the testnet the products are fake – 5 IGNIS for a sailboat is too good to be true. LOL on whoever listed cocaine on the testnet Marketplace. The creativity and dark humor of people amuses me to no end. Messages are the last section on my journey and it is mostly as advertised, but with an important distinction that I am probably the last person to appreciate: Shared Keys allow for third-parties to see encrypted messages to me without me giving up my Private Key/ Passphrase. That is a great point to understand and one that was here-to-before lost upon me – with them you can share sensitive data like identity documents, medical journals, certificates, whatever. Again, I am probably the last person to get this, but hey, better late than never! And that is it, I put my headphones down. My 3.5-hour long journey is over. Before I was but a padawan, but now I am an advanced user! 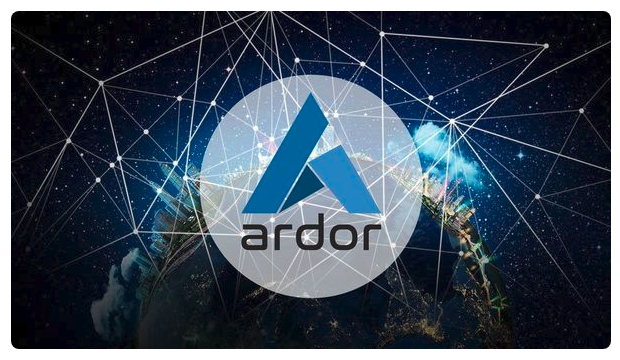 I am pumped and want to sell this exciting and exhilarating feeling of completing the course and gaining a much better understanding and intuition of the powerful functionality of Ardor. I am no master of Ardor, but I am a sufficiently advanced user who now has the foundation to continue to explore and build my knowledge base. My journey is not over – it is only beginning. It is a little deceptive to claim that anyone is a “Master” of Ardor after completing this course, but you definitely will be an advanced user. The hands-on structure and constant manipulation of the Ardor testnet account were a great asset to me, and likely will be to anyone interested in exploring and mastering Ardor as well. A few minor gripes aside, (more on Forging and Bundlers please) and a complete lack of any mention to Lightweight Contracts, Multisig Transactions, and Cold Storage and proof-of account-ownership tokens, the course was engaging and methodical. Nonetheless, believe that this course is very thorough and well-paced if not a little brief infrequently. The nuances of the many restrictions possible for currency and asset creation requires more of my time to fully appreciate all the different use cases for them. Kudos to the creator for making this course. The material is accessible to all and well presented. The beauty of Udemy is that you do not need to watch every single video. You have access to all the content from the beginning and can immediately jump to the sections that interest you. Manipulating the exercises in Part 2 requires nothing from Part 1 if you already have the Ardor client installed and running. The blockchain is the future people, experience it! Long series of sequentially hashed files are the future and now I am an advanced user of Ardor. I am prepared. My Private Key is secure, my high fives are for sale and I am ready to broadcast on Ardor, and to the world, that I am truly appreciative of the advanced blockchain features that are standard on Ardor. I feel accomplished and I experienced, hands-on, much of the great functionality of Ardor. What are you afraid of when it comes to learning and personally exploring Ardor? Here, let me incline you to begin the same journey as me by offering this Nxter code course discount! To many, a blockchain is a scary thing, an abstract concept that is hard to connect to. This is patently absurd – overcome your fear by practicing with it – it exists right now. Wonderful functionality already exists that is immediately usable for most anyone and this is just the beginning of what is to come! 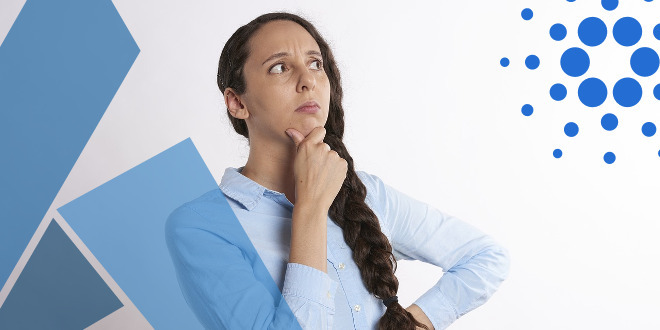 There are many great features of Ardor: the Coin Exchange, the Monetary System, the Voting System, the ability to add conditions to transactions, Aliases, Currency creation, the Marketplace, all of it. But it is nothing more than words unless you experience it – dabble with it. Make it your own! With the release of this course, I believe that the time of being hesitant is over. Take the course and learn the advanced topics and concepts of Ardor. Now it is May and soon it will be June and then it will be summer and then you will be dead! Act now and learn the joys of using Ardor, you will be filled with regret of not taking a small amount of time to appreciate just how powerful a tool we have at our fingertips right now.